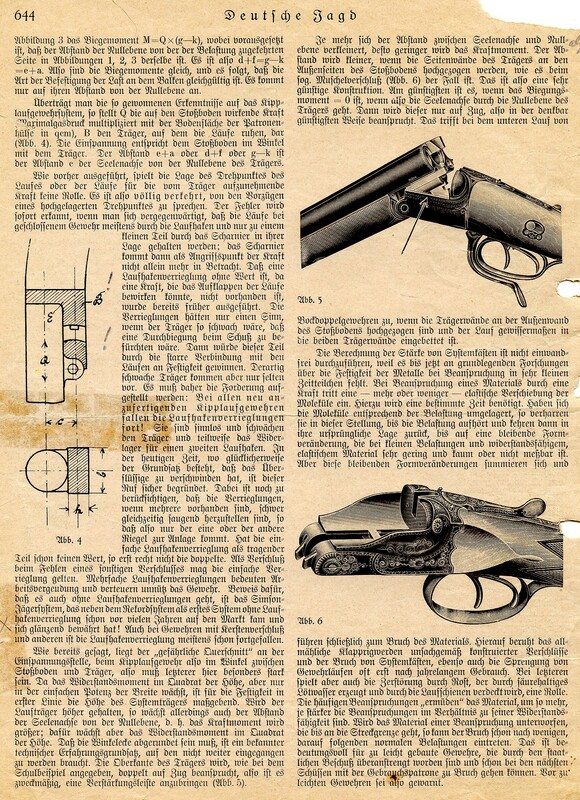 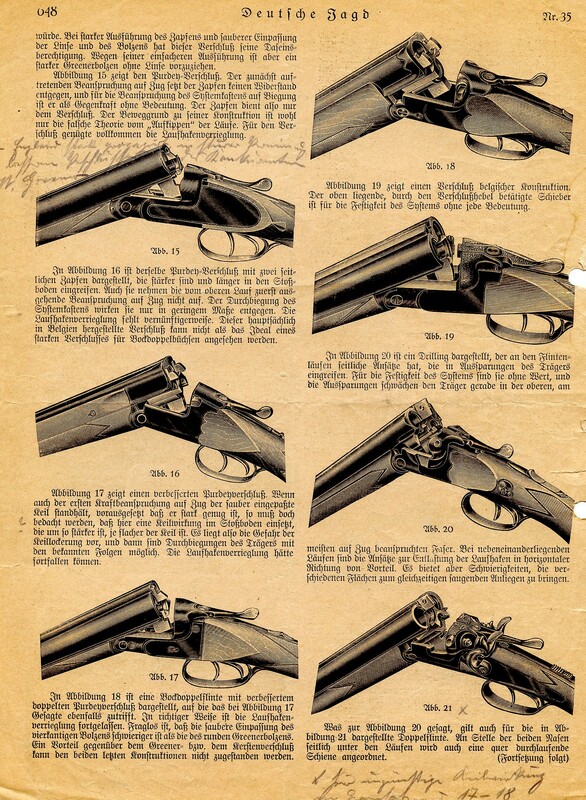 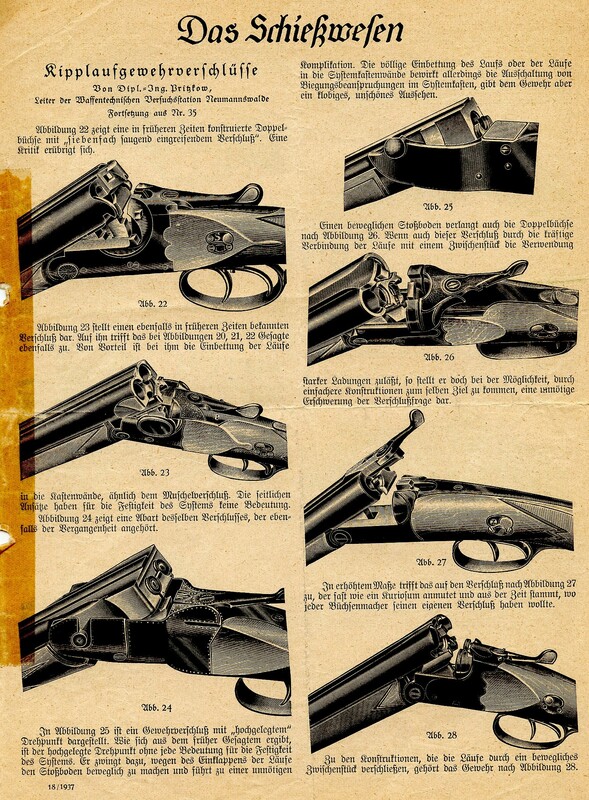 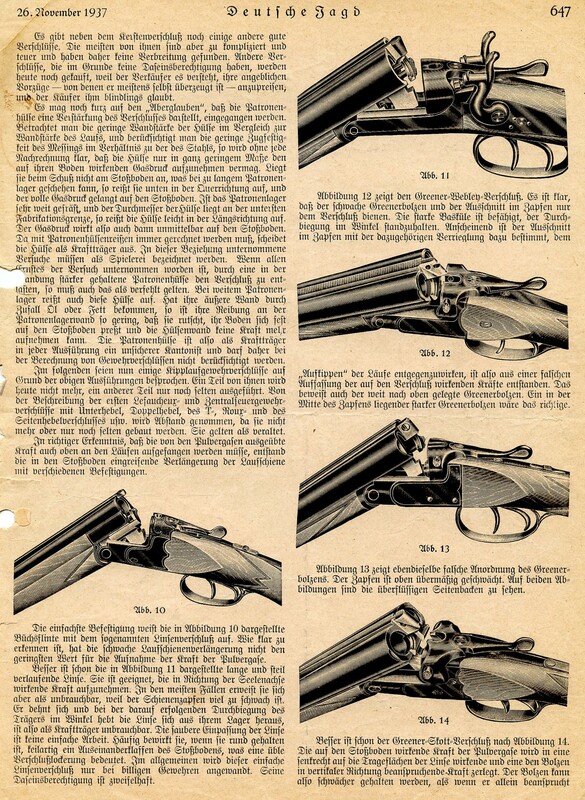 The following articles appeared in the German periodical Duetsche Jagd in Nov. & Dec. 1937 and were found in the archive of material from the Suhl gun maker Franz Jäger. 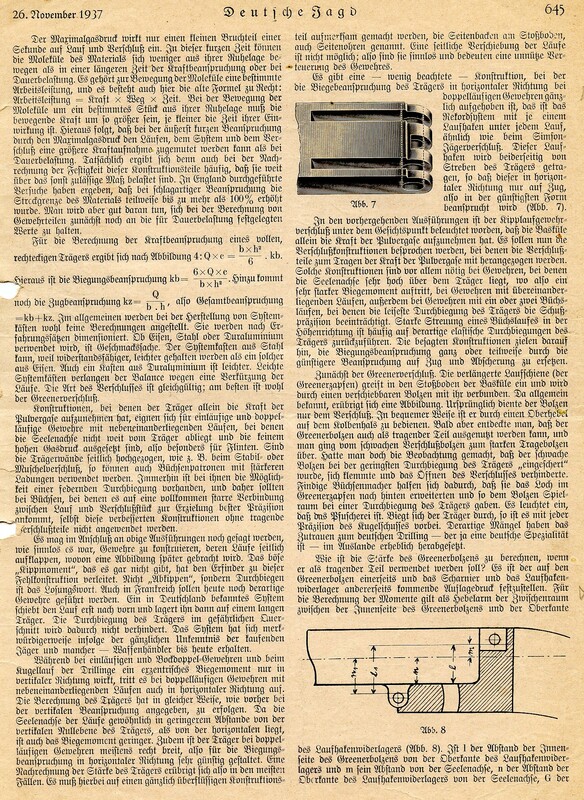 Following the article Franz and his son Erich who was an Engineer had a vast correspondence with the author of the articles. 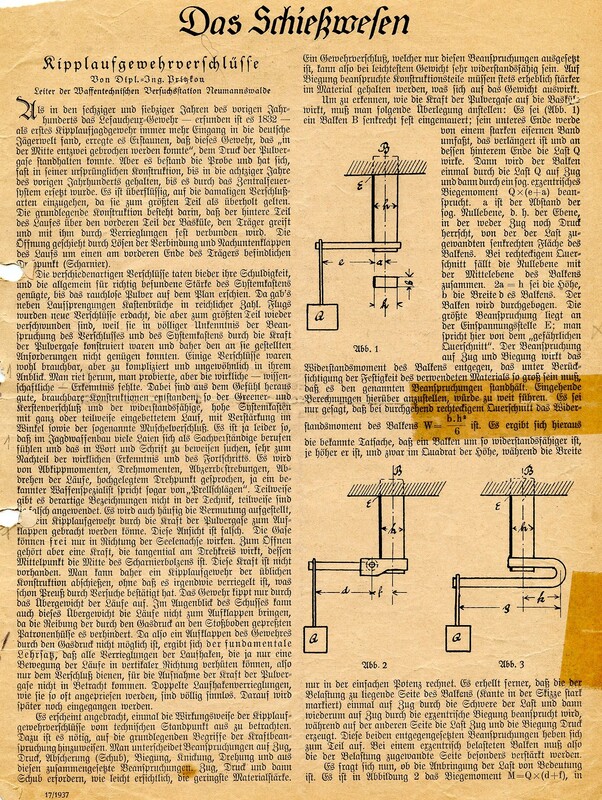 They disagreed with the way the author calculated the strength of differant lock-ups. 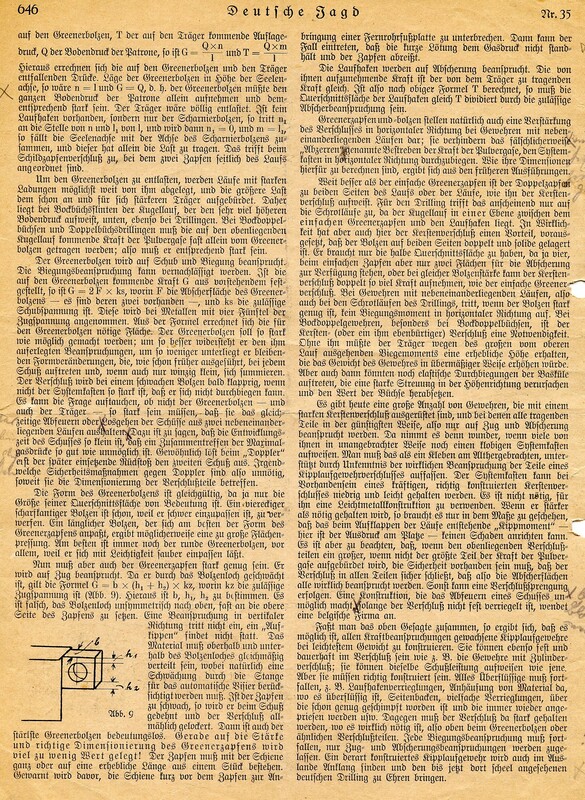 Their formula for that calculation differed from the author’s. 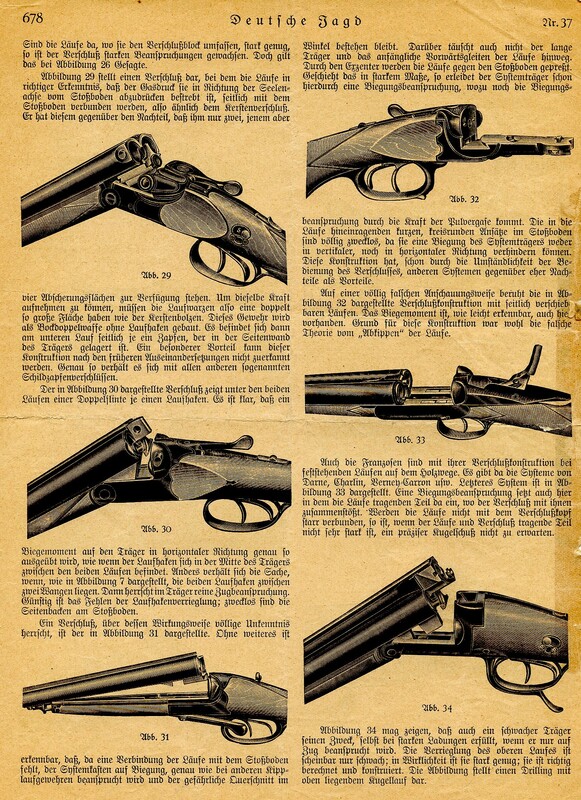 If I am able I will include some of that correspondence.